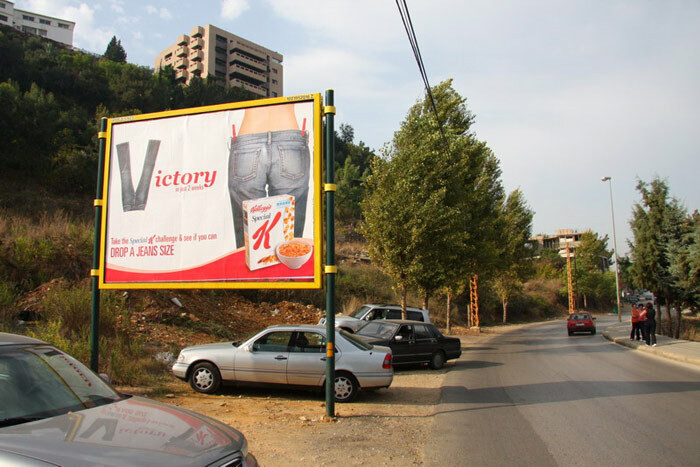 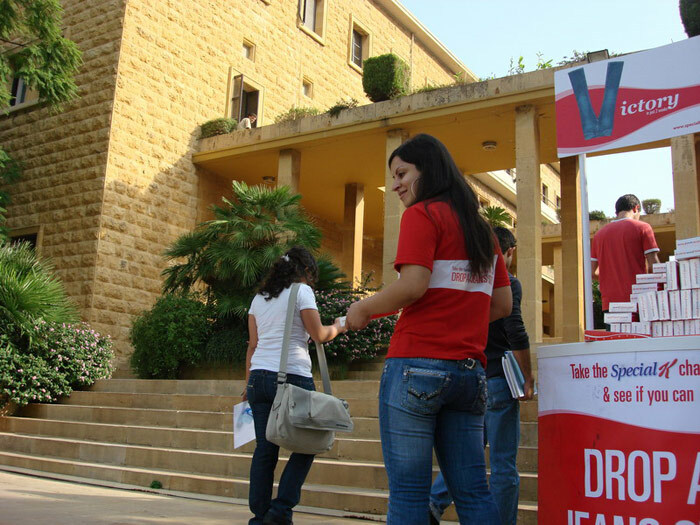 Special K - Victory | Activations & Events | Brands in Action | Direct Marketing S.A.
One of our longtime clients, Kellogg’s asked us to handle the Lebanese activation of yet another Special K campaign, namely The Special K Victory campaign. 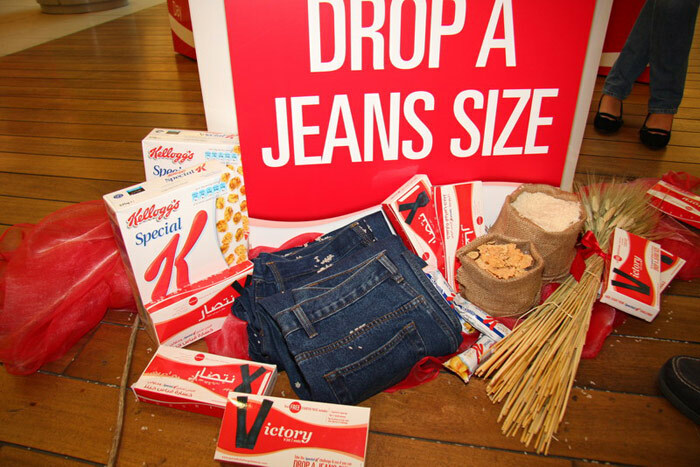 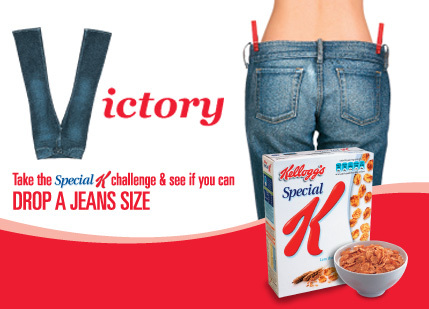 We took Kellogg’s Special K Challenge to drop a jeans size in two weeks to clubs, universities, offices and the Citymall complex in Dora. 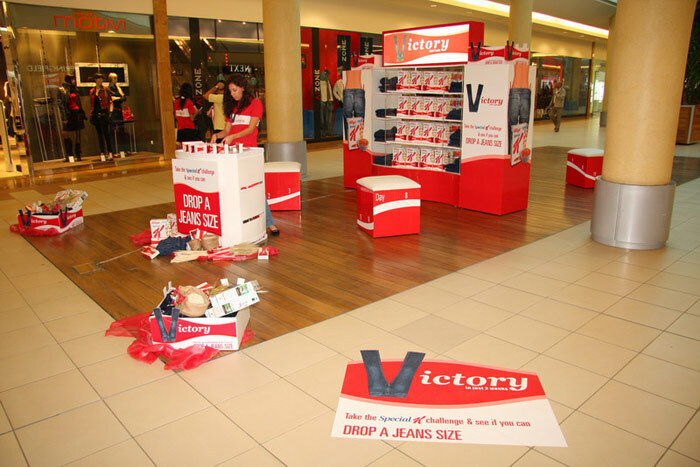 At the general locations, we raised awareness about the campaign and distributed kits containing a Special K bar and a magnetic 2-week planner. 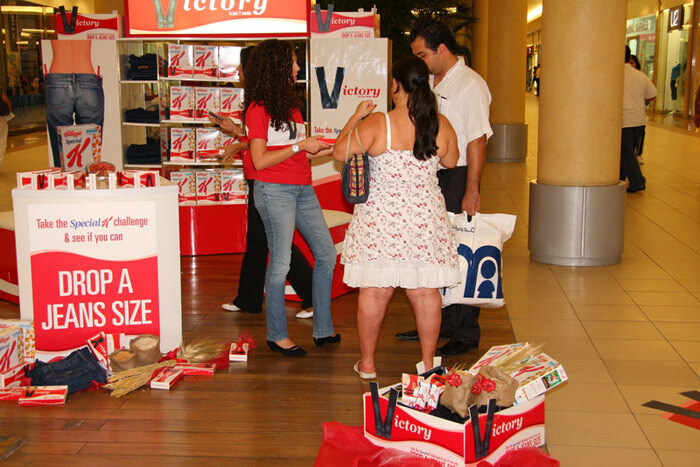 In Citymall, a nutritionist joined the Victory team on site to explain Special K’s weight loss program to consumers and give them health and nutrition tips. 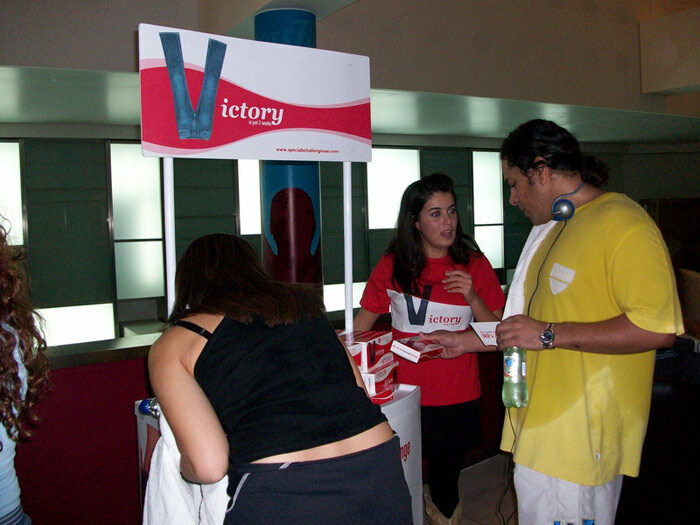 The Citymall activation created lots of buzz; people couldn’t get enough of our nutritionist. 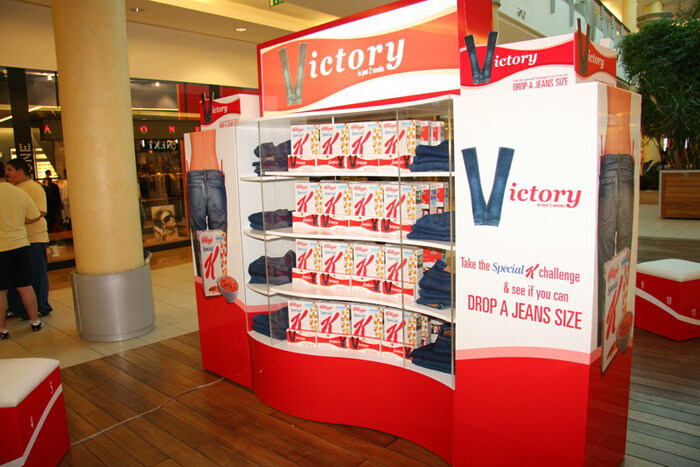 She provided a boost to the much-needed person-to-person exchange and helped convince people to like the product and join the challenge.